In the late 6th millennium BC, eastern Anatolia, the Upper Euphrates Valley, Syria, and northern Mesopotamia were involved in a system of interactions. It seems that this network of expanding influence in a south–north axis is repeated in the final phases of the Ubaid period, during the Chalcolithic, from ca. 4500 BC onward, in a process of transformation of the role, function, and meaning of the ceramics, with extreme simplification of decoration and formal standardisation (Sagona 2017). The diffusion of chaff tempered ceramics in eastern Anatolia and the Caucasus has been thus linked by researchers to the presence (ca. 4250–3500 BC) of northern Mesopotamian groups involved in such economic activities as pastoralism and commerce (trade in metal ores or raw materials). The presence of “indigenous” sites distinguished by their continuation of local pottery suggests a complex system of complementary interactions between groups of differing origins and different cultures (Mesopotamian and Transcaucasian) that occupied different areas depending on their different economic activities (Sagona 2017). The adoption of funerary customs such as elite tombs built with mudbricks but under funerary tumuli (from the north Caucasian tradition), and the presence of fortifications in the area, strengthen the increased Syro-Mesopotamian influence overlapping the cultural substratum of Late Chalcolithic communities of the Caucasus. The emergence of a regional centres and a stratified society with elite groups in northern Mesopotamian communities probably triggered the structural and organisational changes in the South Caucasian—and eventually eastern Anatolian—communities, to adapt themselves to the growing demand from the south. They show an increasing territorial mobility, pastoral specialisation, and the capacity to exploit ecologically different resources. Some findings point to the formation of small local elites imitating the Mesopotamian structure (Sagona 2017). Before ca. 3500 BC, scarce Pre-Kura–Araxes settlements are found in northern areas. The culture shows little continuity with previous Chalcolithic cultures, and the Red-Black Burnished Ware displayed by the culture shows technological and cultural links to certain settlements of eastern Anatolia and the Upper Euphrates. The synchronous appearance of these sites suggests a common network of information, trade, and culture. On the other hand, the strong typological, functional, and ornamental similarities with the southern Caucasus suggests a connection with the southern Caucasian domestic model (Sagona 2017). The turn of the 4th millennium BC saw the development of various cultural traditions in south-east Anatolia, north-east Syria and north-west Iran; on the northern fringe, these traditions manifested themselves in the Maikop culture. In fact, the first high-status burials containing gold and gemstone jewellery (including carnelian, turquoise and lapis lazuli) appeared in the northern, rather than southern, centres ca. 4000–3750 BC. With regard to funeral rites and stylistic characteristics of jewellery pieces, these graves have many parallels with early Maikop burials (Sagona 2017). Few settlements are known from the classical Maikop stage (ca. 3800–3000 BC), with few fortified central places and a majority of open areas composed by groups of small and ephemeral villages of ca. 1–2 ha, with house plans of varied shapes, not articulated through foundations or postholes. Hearths played an important role. Subsistence economy was most likely based on cattle breeding, probably including transhumance, as well as on other animal husbandry (mainly pigs) and probably agricultural means (Sagona 2017). In the classic phase, Maikop circular pit–grave burials became larger, and showed symbolic features like a flat top (probably a cultic platform), had a stone gridle delineating its circumference, and a trend to seal smaller barrows under a ‘roof’, so as to create a cemetery-like structure (Figure 16). Red ochre was ceremonially sprinkeled on the deceased, placed in a flexed position on their right side, head pointing south (Sagona 2017). Most Maikop burial assemblages and constructions do not share the magnificence of the wealthy barrows, and are simple, rectangular earthen pits beneath a shallow tumulus, although they share the same principles. Despite the abundant metalwork, there is little evidence of extractive mining or metallurgical craftsmanship. The society appears divided thus sharply in two levels, with few individuals being regarded as the ‘chieftains’ and buried with luxurious assemblages. They were probably a sign of the emergent elite ideology in the Caucasus, absent in the southern territories, as well as monuments affirming territoriality (due to their visibility) and veneration of ancestors (Sagona 2017). Figure 16. Kurgans of the Maikop type. 1 – kurgan II of the Sunzhenski cemetery; 2 – kurgan III of Brut, 3; 3 – Zamankul (plan and reconstruction of the mound). Modified from Korenevskiy (2012). · A rectangular, earthen pit with rounded corners, edged around the base with stones, and with a roof of timber logs. · Rectangular or circular burial on the ground surface made of wooden planks or field-stones. · Rectangular, one- or two-chambered tombs, built above ground with slabs of stone, with access through a porthole entrance. Ornamentation is rare. This type is typical of the megalithic tradition. · Stone cist tombs built with slabs set into a pit (identical to the previous), with access through the roof. In its late phase, Maikop metalwork diversified, with metalsmiths working gold, silver, and copper. The source of copper-nickel-based objects seem to lie in metal ores to the south of the Caucasus, while arsenical-copper objects—concentrated in the Kuban region—probably had a local origin. Typical Maikop pottery shows a limited range that emphasises rounded and simple profiles, like globular pots and jars, and hemispherical bowls and cups (Sagona 2017). The Uruk expansion in Mesopotamia after about 3700 BC intensified during the late Uruk period (ca. 3350–3100 BC), and its expansion reached toward the gold, silver, and copper sources in the Caucasus Mountains. The Maikop culture of rich chieftains’ graves with Mesopotamian ornaments probably developed from this trade network in the North Caucasus Piedmont. A western and probably also a later eastern southern trade routes have been proposed, through the shores of the Black and Caspian seas respectively (Anthony 2007). Connections with the Near East are evident in the occasional cylindrical seals (Rollsiegel) in Maikop assemblages. It seems that a distinctive technique of making thin-walled jointless beads from gold was a regional technological development of Maikop culture goldsmiths. This was deeply rooted in the Near Eastern tradition of ritualisation of the production and use of jewellery pieces made of gold, silver and gemstones. The jewellery traditions of the Maikop culture had no successors in the Caucasus or the adjacent steppes. In the third millennium BC, the goldsmiths of Europe and Asia had to reinvent the technique of making thin-walled jointless gold beads from scratch (Trifonov et al. 2018). To the north, the existence of steppe–Caucasian trade is supported by Maikop imports found in the north Pontic steppe from the Dniester to the Lower Volga in the east, but no Caucasian imports have been found in the Volga–Ural region. Late Maikop peoples, most likely speaking languages ancestral to modern Caucasian languages, probably interacted with individuals from Repin and late Khvalynsk cultures, and the contact was most direct on the lower Don. Late Maikop graves incorporated carved stone stelae like those of western Yamna. The trading of drugs, wool, and horses has been proposed as main steppe imports into Maikop (Anthony 2007). The two Maikop samples from this period in the Northern Caucasus Piedmont show largely continuity with Caucasus Eneolithic samples, but with a clear additional contribution of Anatolian Neolithic-related (possibly AME) ancestry (ca. 15%) compared to them. Five Maikop outlier samples from the steppe (ca. 3600–3100 BC) represent a likely expansion of Maikop peoples to the area and their admixture with the previous Khvalynsk and local settlers, suggesting their acculturation in the region, evidenced by their admixture closest to ANE. In terms of haplogroups, one sample from Baksanenok (ca. 3350 BC) is reported as within the K-M9 trunk, possibly L-M20. The acculturation of the North Caucasus region may also be inferred from haplogroups of outliers, which show one Q1b2b1b2-L933 (formed ca. 13600 BC, TMRCA ca. 6600 BC) and another R1a1b-YP1272, in contrast to previous Eneolithic (J-M304) and later (L-M20) haplogroups (Wang et al. 2019). 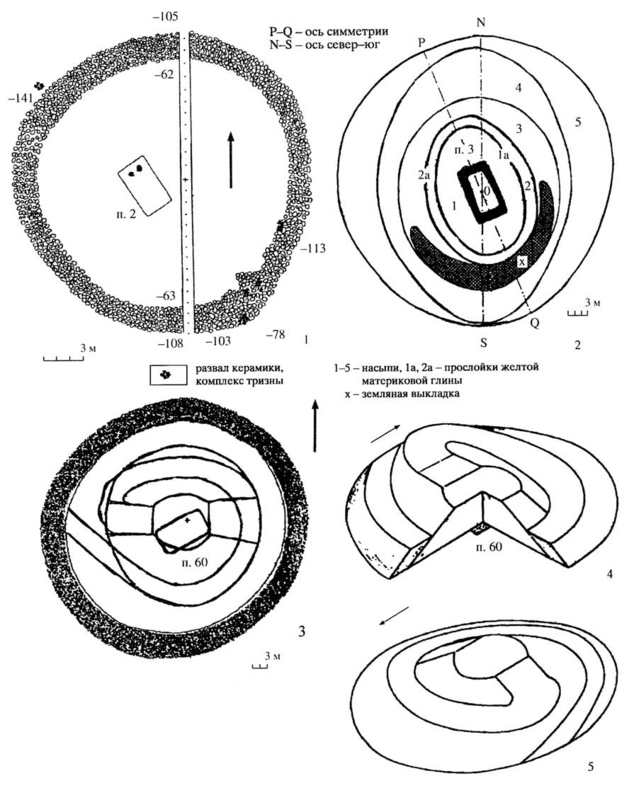 Both individuals were buried in the same kurgan in Sharakhalsun and with similar radiocarbon dates (ca. 3350-3105 BC), and a later individual attributed to the Yamna culture in the same site (ca. 2780 BC) also shows a typical Indo-Anatolian lineage R1b1a2-V1636. Another outlier shows hg. T1-L206. Horse trade, including wheels, carts, and the possibility of a quicker transport of metals into Uruk, is proof of an indirect contact between steppe herders and Mesopotamia. The need of exported domesticated horses to be accompanied by experienced breeders and riders from the lower Don offers a solid framework to support the hypothesis of the presence of Late-Indo-European-speaking peoples in Mesopotamia, and thus allow for Indo-European borrowings in Sumerian (Sahala 2009-2013). Nevertheless, the scarcity of proofs for wooden vehicles in the region before the first attested one in Sharakhalsun, as well as bioarchaeological investigations of common representations which point to an emphasis on cattle as driving force—instead of highlighting the means of transportation, as in the Yamna culture—seriously challenge the hypothesis of large-scale mobility in the piedmont and the Caucasus (Reinhold et al. 2017). The condition of Pre-North-West Indo-European (likely spoken by the late Repin culture expanding westward) as an Euphratic superstratum of Sumerian (Whittaker 2008, 2012) would require a more detailed explanation of internal and external cultural influence, and reasons for potential language replacement and expansion in Mesopotamia.